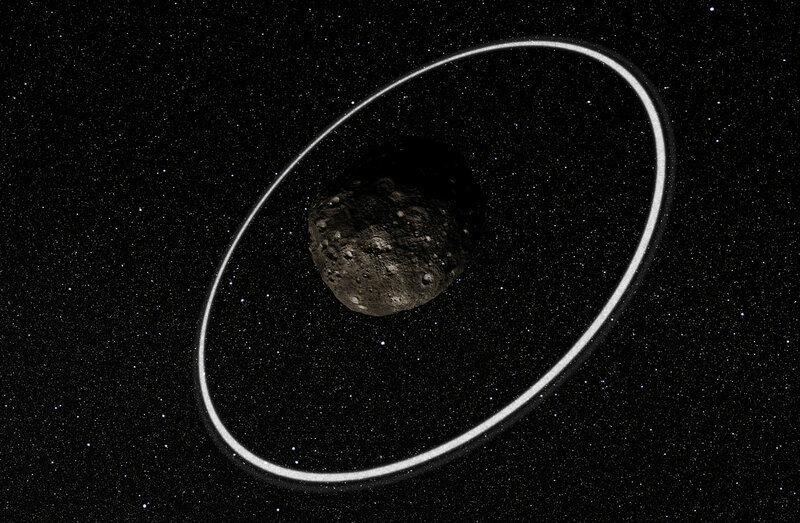 Any estimates on how long asteroid rings can be stable for, putting an upper bound on how long ago the collision could have occured? This exemplifies the mysterious nature of the unknown cosmos. The dynamics of planet formation are as active as when the Universe began. As time marches on many unanswered questions will be discovered only to find more doors that need opening. When I was a kid in the 70’s I had wet dreams about these kinds of discoveries that I’d see in the future. Awesome to be alive now! 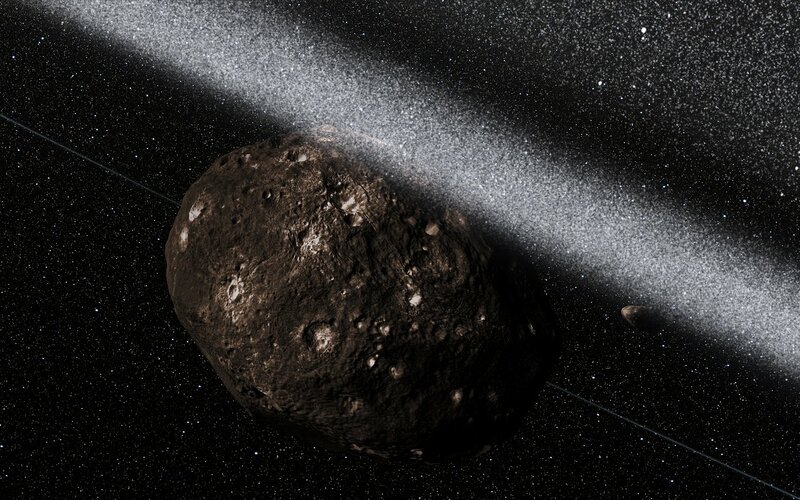 This asteroid’s ring will make a great fuel depot someday in the future. All the water just waiting to be turned into H2 and O2. Too bad it’s so far away. Previous PostPrevious What Are These Hollows on Mercury?